Here is a summary of my work and project history for various clients and employers. GTM Performance Engineering - A performance company specializing in producing supercharger and turbocharger systems and related products for Nissan Z, G and other models was in need of an experienced engineer to improve their engineering and product development processes. I design all system components including supercharger mount & drives, intercooler tanks and piping, turbocharger inlet & outlet ducts, cat-back exhaust systems, ITB intake manifold, airboxes, oil pans & dry sump components, valve covers, motor mounts, component bracketry, etc. New capabilities include using a Faro arm and Rapidform software, and programing a BLM electric tube bender. Post Modern - Post Modern produces interactive kiosk's for trade shows and exterior displays. In the process of revising their interactive display system, I designed support panels for the electronic systems, the kiosk enclosure and the camera housing. Electric Vehicle Enterprises - EVE is a start-up company with expertise in electric vehicle drive systems, vehicle conversions, and general electronic components and system design. Recent projects include layout and design for a portable A/C unit, a small hand-held vacuum cleaner, and designing housings for power supply and battery charger units. Fritzy's Pet Care Professionals - Fritzy's provides a mobile pet grooming service. A recent project involved designing components for a van interior; multi-chambered aluminum water tank, structural supports for a lifting device, FRP molded floor pan, and a mounting bracket for a secondary alternator. B&W Lift Systems - B&W is a manufacturer of portable conveyors and bulk conveyors for the building industry. My technical assistance includes load and stress calculations, designing upgraded parts and part drawing documentation. Lido Motors USA - I developed the chassis for a new fleet golf car, including designing the tooling jigs and fixtures for manufacturing. In addition to the mechanical design, I designed the main and controller wire harnesses and the tooling for building the harnesses. I located higher value suppliers for the lighting and electrical switch components. Once the first prototype vehicle was built, I used road tests to adjust the motor controller parameters to achieve the desired performance. All component designs and drawings were done using Solidworks, and a complete costed parts list was also prepared for Purchasing. Recent projects include designing body support structures and Ford Raptor-like headlight bezels. George P. Johnson Company - Working in a consultancy capacity, I was a member of the team preparing auto show displays about the Five Star braking system for Toyota. As part of this effort I prepared the detail design of a display that demonstrated one of the unique aspects of the braking system. Compuaid - The client had an urgent need to prepare a housing for a new EFI system electronic control unit. I prepared three concept design proposals for review and selection by the customer. Using Solidworks CAD I then prepared the detail design and the manufacturing drawings of the selected proposal. The housing was made from extruded and sheet aluminum parts. Fulham Company - To solve a problem with the incoming inspection of product, I conceived and designed an inspection machine for the Quality Assurance department. The machine was composed primarily of machined parts. Following client acceptance, I identified and solicited quotes from vendors to build the component parts. I followed-up the manufacturing of the parts by the recommended vendor, assembled and calibrated the machine, wrote calibration and inspection procedures and trained the client QA personnel how to use the machine. The successful operation of the machine allowed the client to obtain a less restrictive part tolerance, improve the product, and reduce the inspection quantity requirements. Retrotek Speed - In support of the companies expanding product line, I designed the housing for a new EFI system electronic control unit and developed design revisions a new fuel control system and distributor. I used Solidworks to prepare the part and drawing documentation for these products as well as other products in the line including an electronic transmission shift system. System components in these products included molded and machined parts. In support of the release of new products, I prepared installation instructions including writing procedures and creating graphics. Kennamore - Working from a "napkin" concept sketch I designed a exercise device for the inventor. The design involved adjustable air cylinders and was composed of metal and molded plastic parts, all of which were laid out in Solidworks 3D CAD. Following design approval, I identified and solicited quotes for tooling and building the component parts, starting with SLA models and soft tooling for the prototype and pre-productions units. Electric Traction Systems, Inc ?Working with this start-up company addressing the need of reducing emissions from heavy trucks, I prepared mechanical designs and drawings for the electric traction drive system, HVAC drive systems, hydraulic and air brake sub-systems, battery support unit, and fuel cell APU for a heavy truck. In addition to the manufacturing drawings, I also prepared the parts lists, including an illustrated parts manual. I prepared project schedules in MS Project. Western Golf Car Manufacturing - As the principal engineer for the Lido NEV and the golf car vehicle product line, I did the engineering and development of vehicles from prototype to production. Attaining these results required interfacing with the design studio on new model, vehicle body, chassis and system design, preparing and evaluating prototypes, preparing drawings and parts lists, vendor selection and interfacing, designing and preparing production tooling. Subaru of America Technical Center - As the manager of product development I managed a group of engineers, technicans and drafters to develop accessory products for the vehicles which accounted for $110 million in annual sales to the Parts Department. Vehicles impacted included the Legacy (3 generations), Brat (2 generations), XT, Justy, SVX and Impreza (1st generation). Attaining these results required developing product specifications, performing evaluation testing, organizing and leading hot/cold HVAC field tests, issuing product approvals, preparing specification drawings, vendor selection and interfacing, interfacing with Parts, Service, Product Planning and QC departments, and negotiating vehicle specifications with vehicle engineers in Japan. 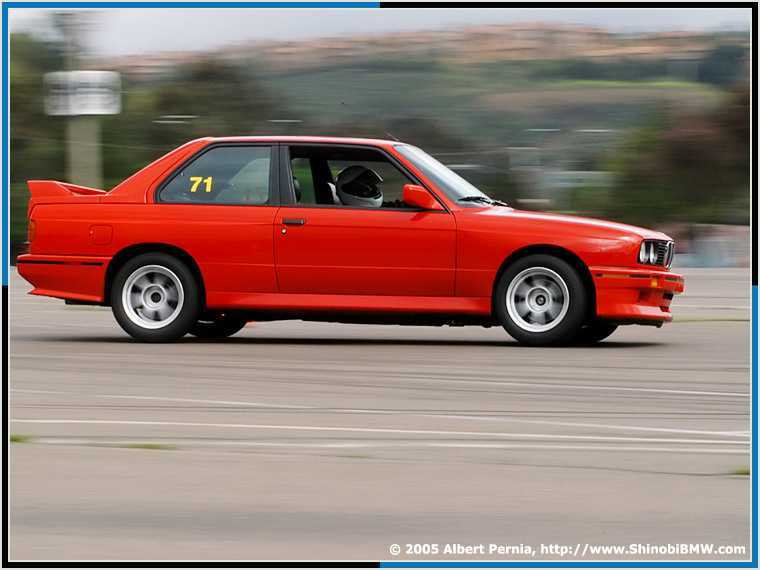 Ron Jones Racing Enterprises - I designed and built and raced several road racing cars for SCCA events in California, Arizona and Oregon. During this time I designed and built an engine dynamometer for my masters thesis, and I used this in the business to develop and tune engines. I also designed a sports car chassis prototype for Ecurie Shirlee Corp., a dealer of Lotus cars.